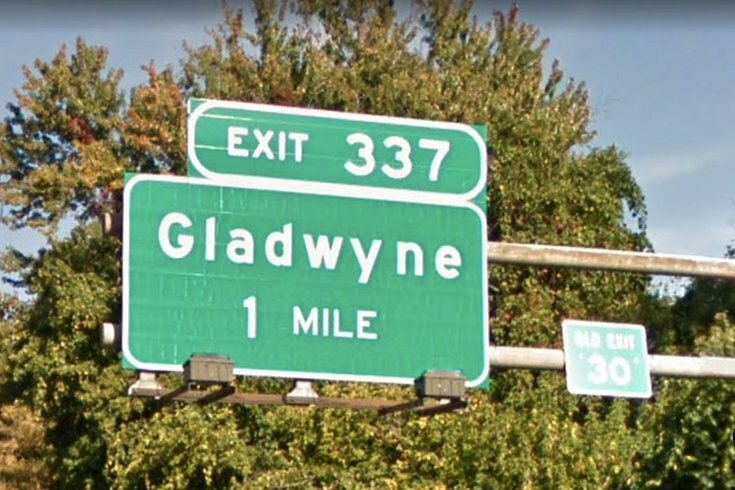 A sign for the Gladwyne exit of the Schuylkill Expressway. A Montgomery County zip code is the sixth richest in America. 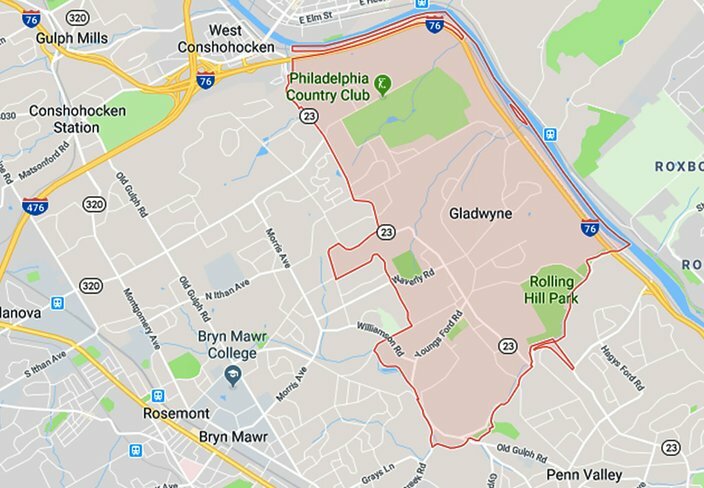 The average income in Gladwyne (19035) was $957,200 in 2015, according to a Bloomberg analysis of Internal Revenue Service data. That's about $1.58 million less in average income than the richest zip code, Fisher Island (33109) in Miami Beach, at $2.5 million. The rest of the top five: Atherton, California (94027), average income of $1.50 million; Palm Beach, Florida (33480), $1.26 million; Palo Alto, California (94301), $1.12 million; and Harrison, New York (10577), a suburb of Manhattan, $976,200. Gladwyne is a suburban community on the Main Line. It had 3,780 residents according to the 2010 Census. Students attend schools in the Lower Merion School District. The Bloomberg analysis shows that residents of the 4.9-square-mile community have fared well over the last five years. Average adjusted gross income increased by 32.7 percent over the last five years. The average salary of $389,100 was 40.8 percent higher over the same period. The median home value was $910,000. Bloomberg said it evaluated IRS data for zip codes with more than 200 tax returns as of the 2015 filing season, and with 500 residential households according to the latest Census tally. More than 22,000 zip codes met the criteria. Home values were based on February 2017 to February 2018 monthly median values for detached single-family and condo/co-op homes. Read the full report on Bloomberg.com.